Once upon a time, dominoes was predominantly played by old men in pubs... but over the decades it's become a game that the young can play at home with their parents. In fact, in these days of video games which are picked up easily by the young, while leaving the older generation flummoxed, dominoes is a game that the grownups still have a fighting chance of winning. 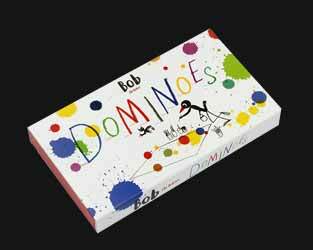 Aimed at the very young, this fun and educational dominoes game helps children to learn how to match colours, pictures and numbers. The dominoes themselves are made of thick card and measure 10.5 x 5 cm in size, so big enough for little hands to easily grapple with. 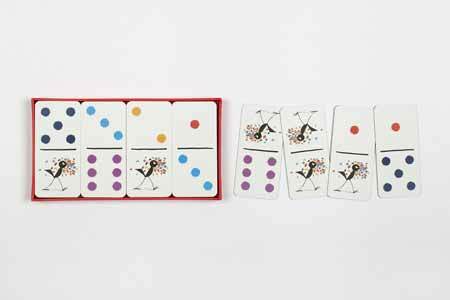 The set is housed in a box with a solid board slipcase, which acts as storage for the dominoes so they stay protected when packed away. If you're looking for a dominoes game that every generation of the family can play, then this is a cheap and attractive looking set.